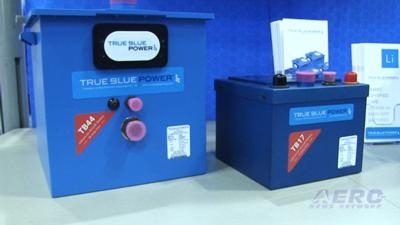 True Blue Power announced the company has added a 2000-watt inverter to its line of power solutions. The new TI2000 DC-to-AC Inverter provides wall outlet power to cabin and galley equipment, including personal electronic devices (PEDs), entertainment and gaming systems, microwave ovens, and coffee makers. 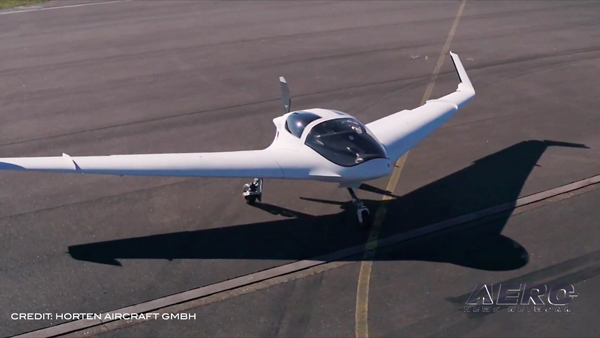 It is ideal for VIP cabin configurations, special missions and emergency medical equipment. The 2,000-watt inverter is smaller, more efficient and weighs only 7.7 pounds; it is 50% lighter than competing units. FAA TSO/EASA ETSO certified and RTCA DO-160G qualified, the TI2000 is manufactured in an AS9100C-certified facility and designed with input transient, overload and short-circuit protection up to 150% of the rated load. The TI2000 will be on display at the True Blue Power Booth #C8518 throughout the NBAA Business Aviation Convention & Exhibition October 10 – 12 at the Las Vegas Convention Center, Las Vegas, NV. 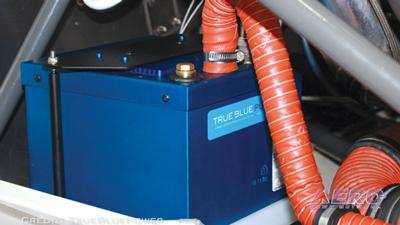 True Blue Power has announced the Federal Aviation Administration (FAA) granted Type Certification (TC) for the company’s TB17 (17-amp hour) lithium-ion, engine-start battery on Robinson R66 helicopters. 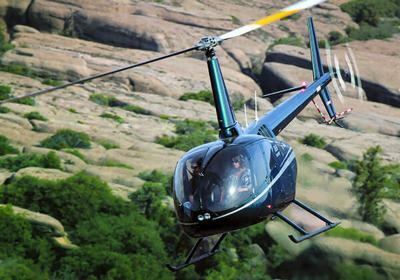 In addition to this recent certification, the TB17 is now STC approved on Robinson R44 helicopters and Type Certified as standard equipment on Bell Helicopter’s new 505 Jet Ranger X™. True Blue Power’s TB17 lithium-ion battery delivers unparalleled benefits to rotorcraft operators when compared to lead-acid and nickel cadmium alternatives. Weighing 16 pounds, the TB17 is significantly lighter than the R66’s standard 42-pound battery or the optional high-capacity battery, which weighs 52 pounds. The advanced lithium-ion battery offers 60 – 90% reduced maintenance cost, increased payload and more efficient high-energy starts. 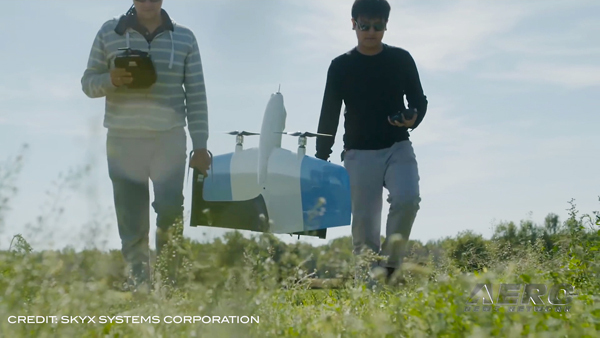 Engineered with proprietary Nanophosphate® lithium-ion cell chemistry, the intelligent battery system provides several layers of electronic protection and communicates real-time battery status to the pilot. The TB17 will be on display at the True Blue Power Booth #C8518 throughout the NBAA Business Aviation Convention & Exhibition October 10 – 12 at the Las Vegas Convention Center, Las Vegas, NV. 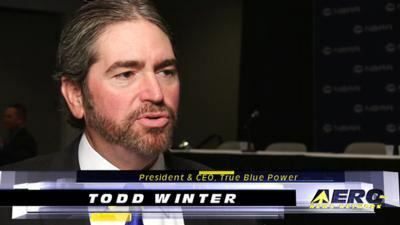 True Blue Power, a division of Mid-Continent Instrument Co., Inc., specializes in the custom design and manufacture of power solutions for the global aviation industry. Products include USB charging ports, converters, inverters, emergency power supplies and advanced lithium-ion batteries. Select products feature proprietary, Nanophosphate® Lithium-ion battery technology, which offers stable chemistry, faster charging, consistent output, excellent cycle life and superior cost performance — this translates into smaller, lighter products that are less than half the size and weight of existing solutions. Mid-Continent Instruments and Avionics manufactures, overhauls and repairs aircraft instruments, avionics and advanced power solutions for the global aerospace industry. Operating within an AS9100C certified facility, Mid-Continent serves 57 countries and supports business and commercial aviation, unmanned aerial vehicles (UAV), defense, and special missions markets. The company manufactures more than 20,000 units per year and processes more than 15,000 units in its overhaul, exchange and repair operation. Mid-Continent’s customer base includes OEMs, FBOs, instrument and avionics shops, flight schools and government agencies. Mid-Continent products are found in most Cessna-built aircraft, Beechcraft, Cirrus, Diamond, Piper, Nextant Aerospace, Vulcanair, Robinson Helicopter, Airbus Helicopter, Bell Helicopter, Enstrom Helicopter, MD Helicopters, and many more. 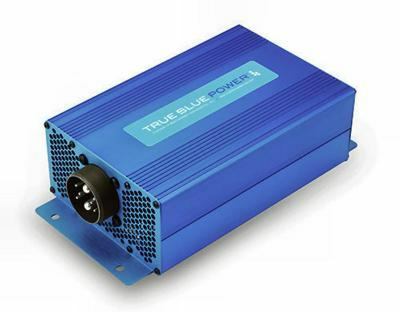 True Blue Power specializes in the custom design and manufacture of power solutions for the aviation industry, including USB charging ports, inverters, converters, emergency power supplies and advanced lithium-ion aircraft batteries. 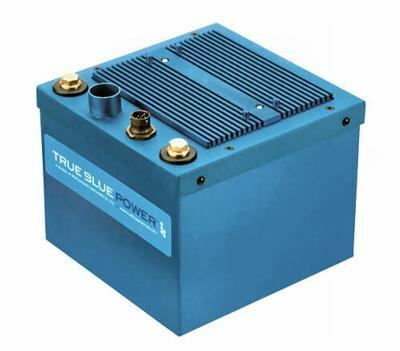 True Blue Power is the first company in the world to achieve FAA TSO and EASA ETSO certifications for three sophisticated lithium-ion battery products: The TS835 Series Emergency Power Supply, TB17 (17 amp hour) and TB44 (46 amp hour) Advanced Lithium-ion Batteries. Mid-Continent Instruments and Avionics is an AS9100C certified facility. 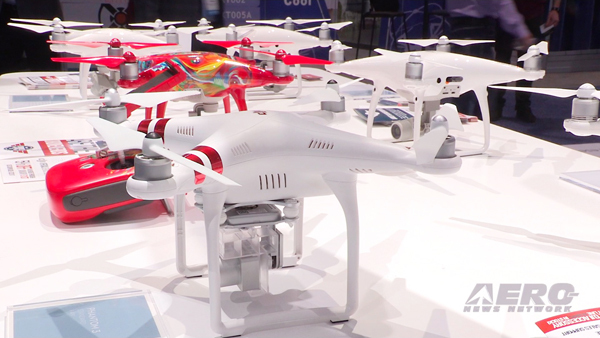 Mid-Continent Instruments and Avionics manufactures more than 20,000 new units each year. Mid-Continent Instruments and Avionics’ MD302 Standby Attitude Module (SAM®) is FAA STC approved on 490 aircraft models.